Since its premiere in a tiny suburban theatre in Vienna, Die Zauberflote has delighted audiences young and old for over 200 years. Mozart's Singspiel seamlessly alternates seriousness and jollity, and combines philosophical ideas with a fairytale world of wondrous animals and magical musical instruments. Emanuel Schikaneder's original production was theatrically inventive, and this new interpretation from director Simon McBurney emulates that in fresh and current terms. 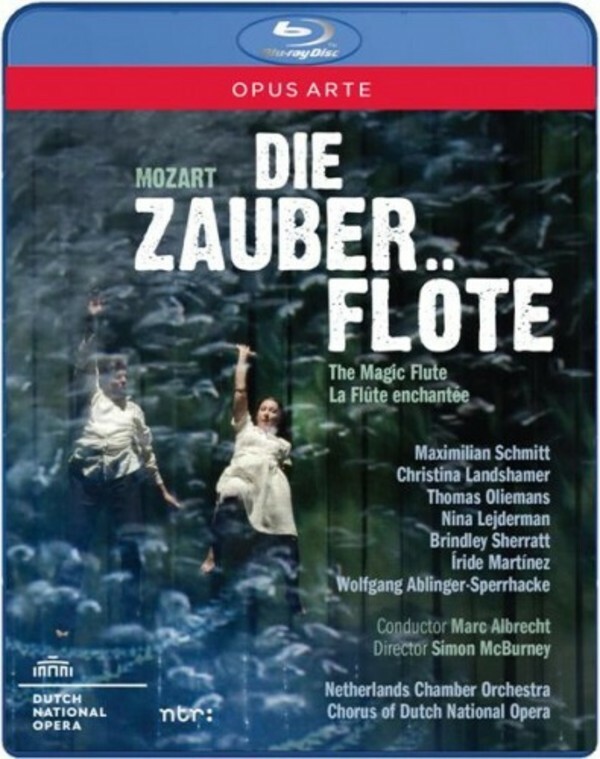 Fusing music, technology and stagecraft, this exciting production gives Die Zauberflote a refreshing new treatment that is both thrilling and simple in its approach. Following an overwhelming success on stage, McBurney's unique production received five-star reviews in the Dutch press: 'a feast for the eyes and the ears' (Het Parool) and 'Delicious!' (Trouw). Recorded live at the De Nederlandse Opera, February 2014.